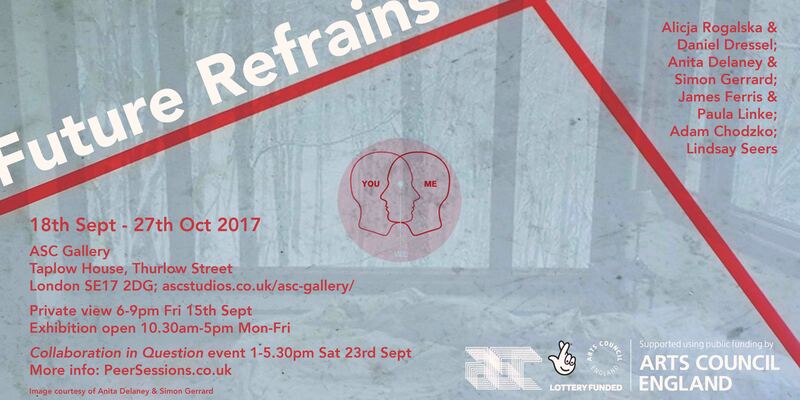 Future Refrains marks the culmination of a year-long Peer Sessions project on collaborative practice funded by Arts Council England. 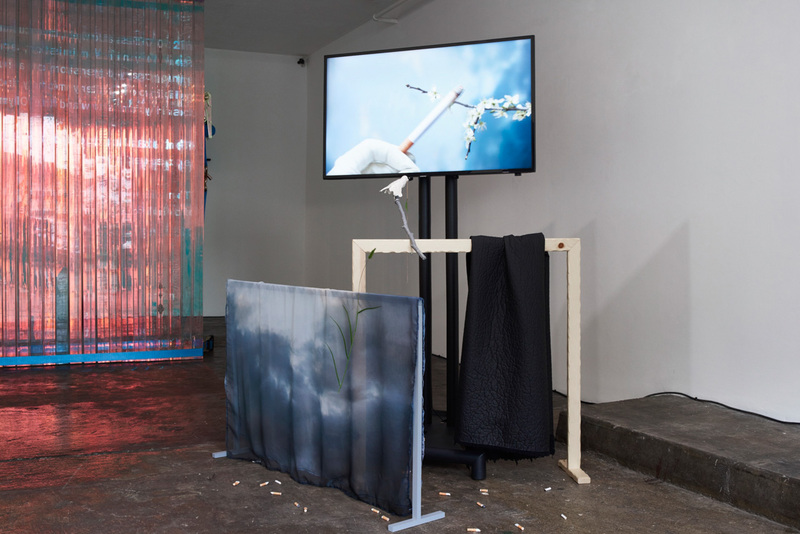 The exhibition features new work commissioned by Peer Sessions; three emerging Peer Sessions artists were invited to select a partner artist with whom to collaborate. 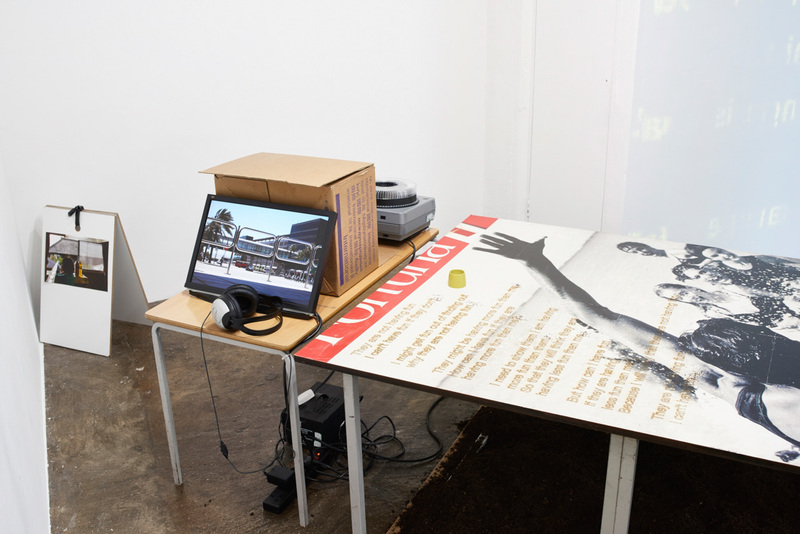 The six artists met in developmental Peer Sessions workshops during the formative stages, to provide opportunities for dialogue, cross-fertilisation of ideas and feedback as the commissioned works evolved. 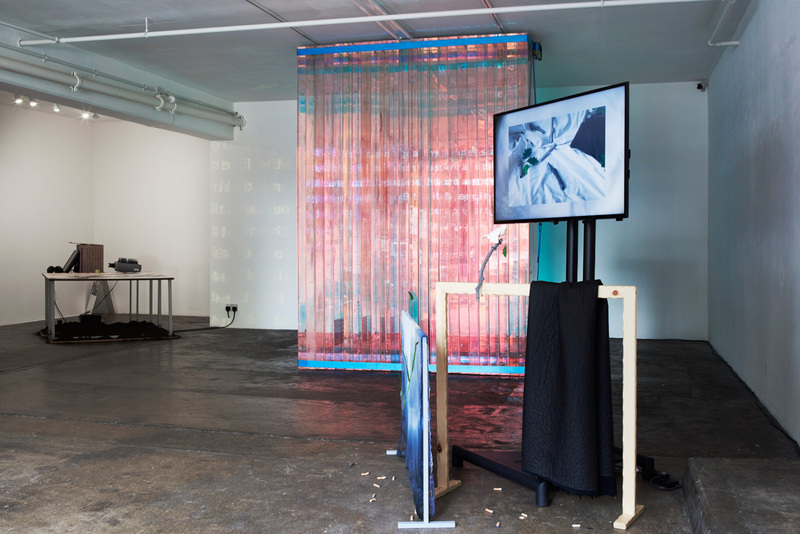 The exhibition will also feature new works by Adam Chodzko & Lindsay Seers who have been active as guest moderators in recent Peer Sessions crit groups. 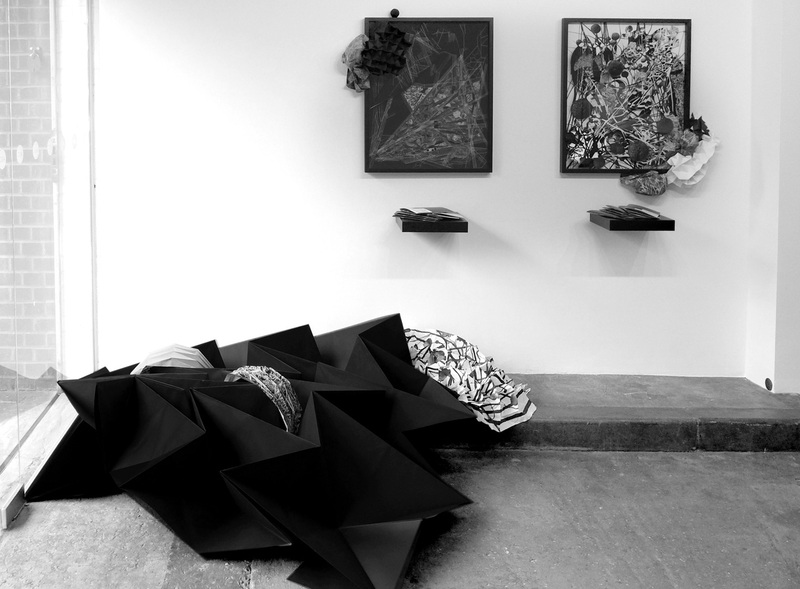 – Installation view; left: Alicja Rogalska & Daniel Dressel Spectre (2017); right: Anita Delaney Summertiem (2017). – Alicja Rogalska & Daniel Dressel; Spectre (2017), video installation. 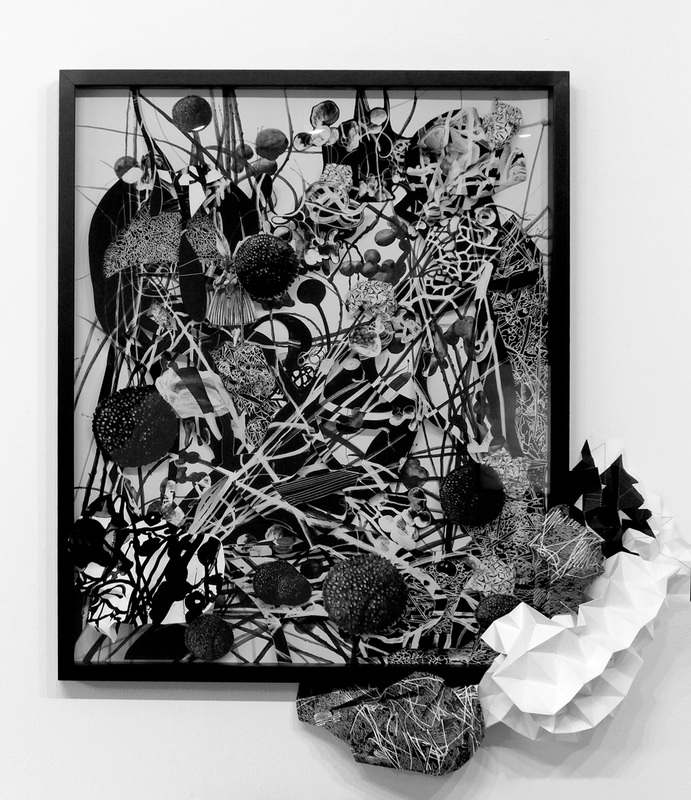 I See Through Every Image (2013) (a planting template for Belladonna seeds); Fortuna poster, plywood, perforated full stops, Belladonna seeds and compost. Adaptation (2013); Single screen video with sound (10 mins). The Gorgies Centre (2002); 81 image 35mm slide projection (with Fedex box and scanner lid) (7 mins duration). Our Host Postponed the Drinks Until After the Storm (2015); Photographic dyptich, inner tube and formica panels. 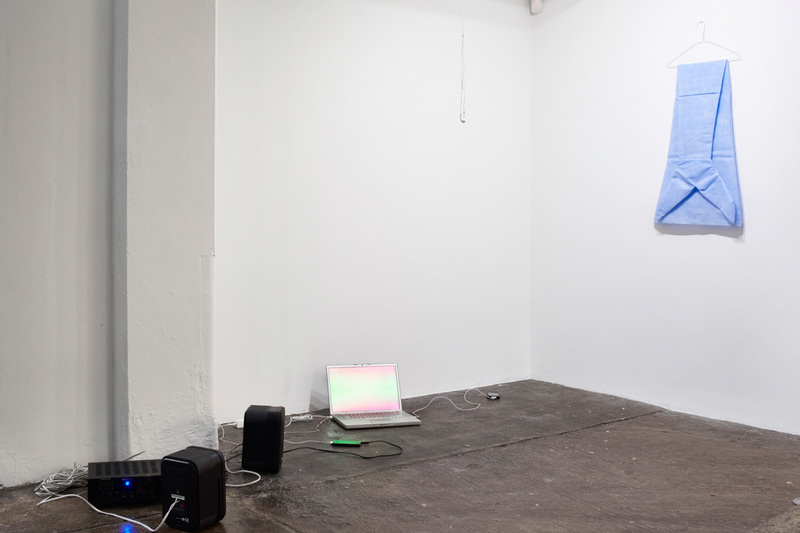 – James Ferris & Paula Linke; left: Welcome (something blue) (2017), Cleaning cloths, thread; right: Your love is like cat food (2017), Audio installation. 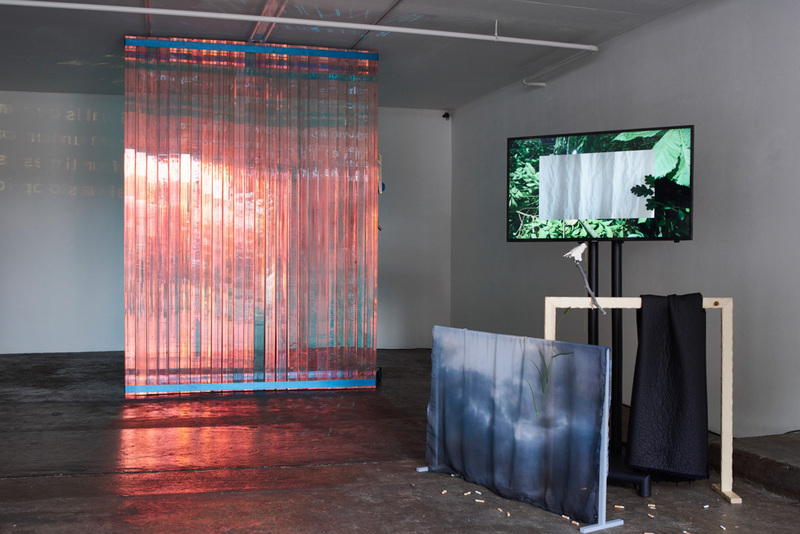 – Anita Delaney; Summertiem (2017), HD video and stereo audio, wood, fabric, printed chiffon, air clay, paint, metal chain, resin, flock, plastic foliage, magnets. 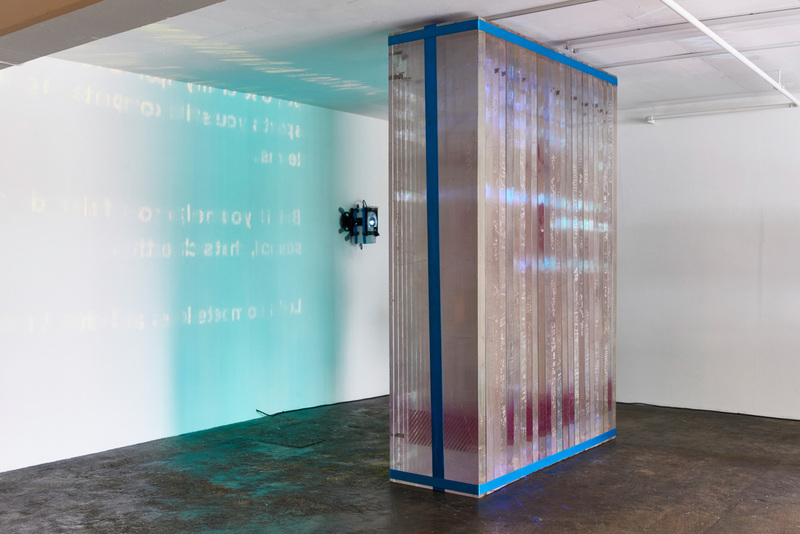 – Lindsay Seers; left: Second letter to N; right: Second Letter to A (2017); drawing, painting, ink jet, paper, frames, shelves, booklet. 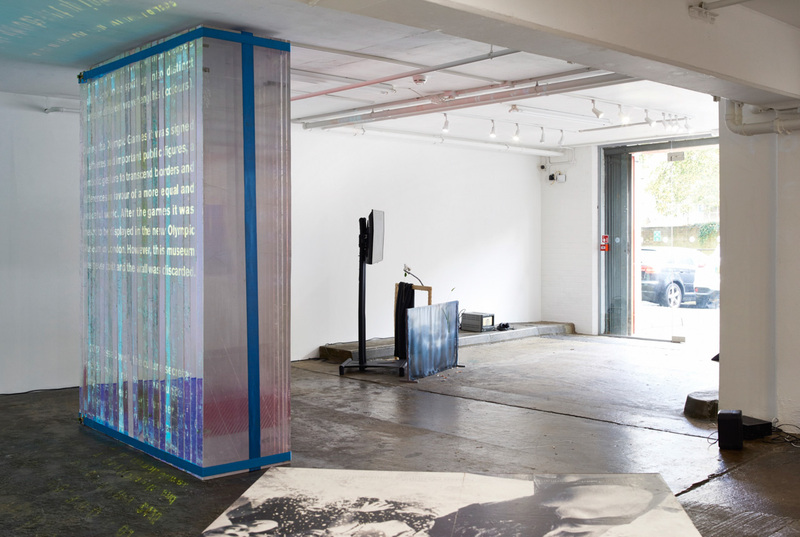 – Lindsay Seers; right: Second Letter to A (2017); drawing, painting, ink jet, paper, frames, shelves, booklet. 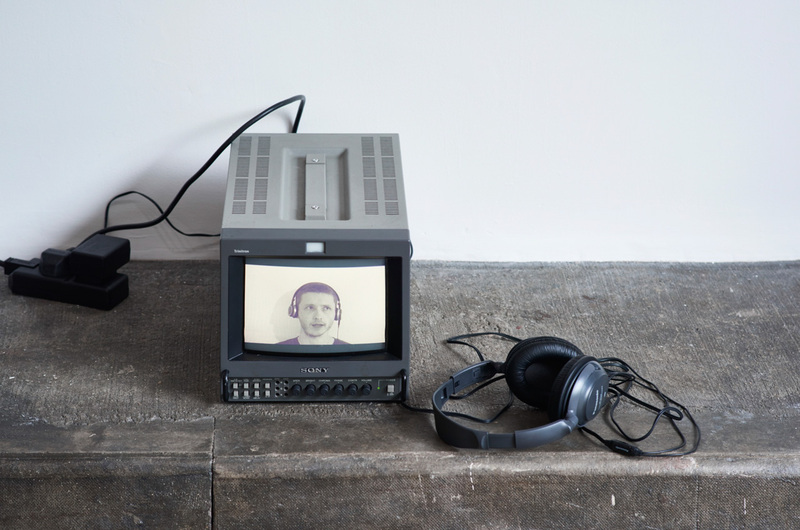 – Simon Gerrard; Room For Improvement (2017); video (6 mins), monitor.